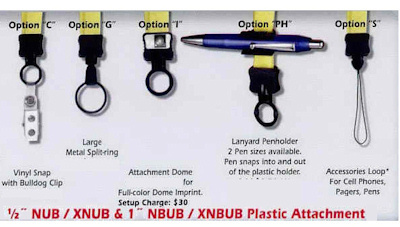 Promotional lanyards and badge holders have a large variety of attachment and name tag or ID badge options. 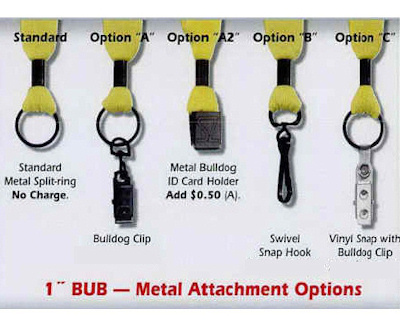 From safety breakaways to bulldog clips and badge holders, there are many options to choose from for your conference or trade show. Please note that the options below are organized by lanyard type. 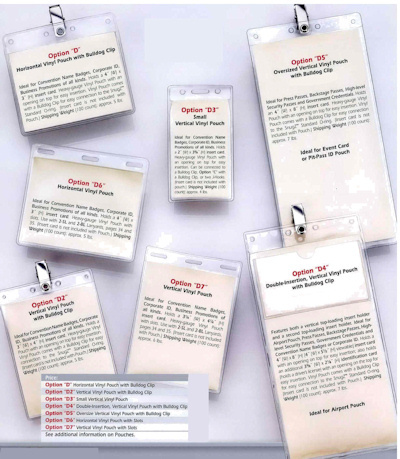 If you are looking to build a custom promotional lanyard and you need help, please call us anytime at 888-332-ADCO or email us at sales@adcomarketing.com anytime! 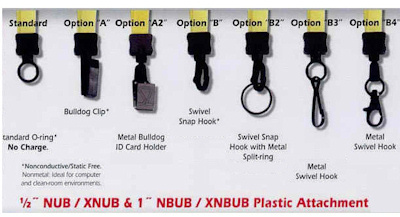 Our expert sales people can help you build the custom lanyard to your specifications! AND WE OFFER RUSH LANYARDS! 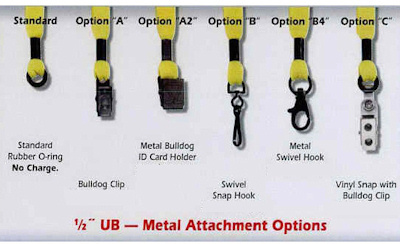 TO RETURN TO THE MAIN LANYARD PAGE - CLICK HERE! Option D7 - Vertical Vinyl Pouch with Slots 3 1/4 (w) x 4 1/4(h).